Find out about the latest J Hayden Carpets projects and news from Royal palaces to classic cars, from bath mats to 64ft rugs. 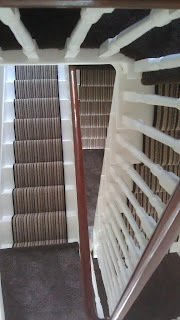 We have had a very busy year making your Stairs a Stunning feature of your homes; A selection of just a few of them . 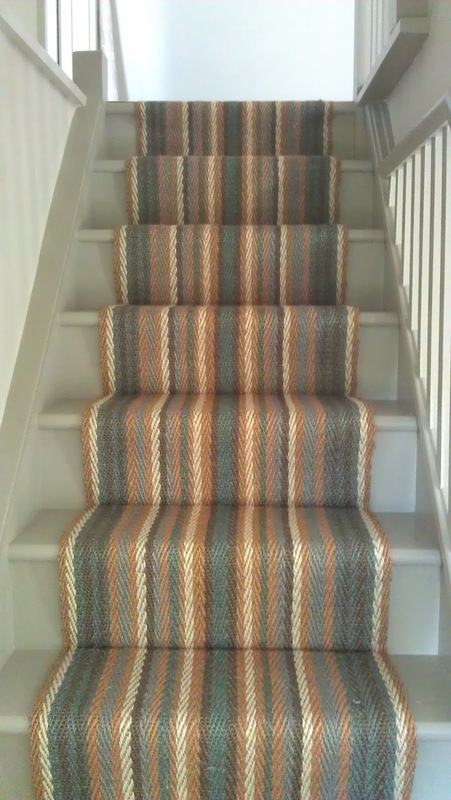 Sisal Tigers Eye Runner on painted floorboards, perfect for this Beach side property. Another angle looking down the stairs. 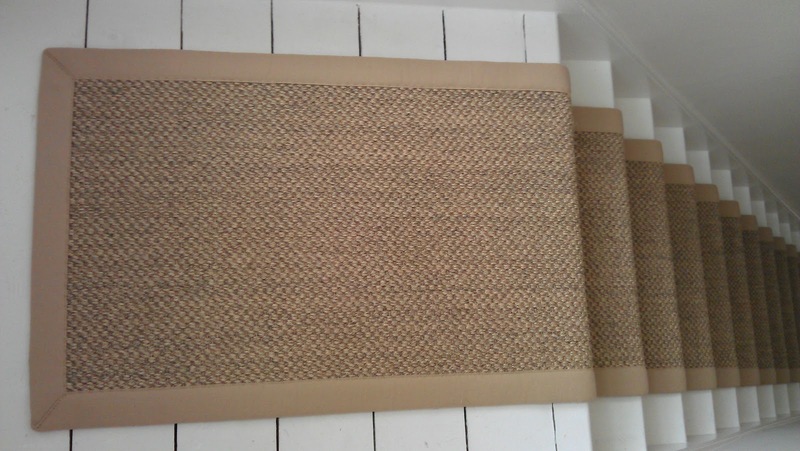 Beige cotton border compliments the Sisal. 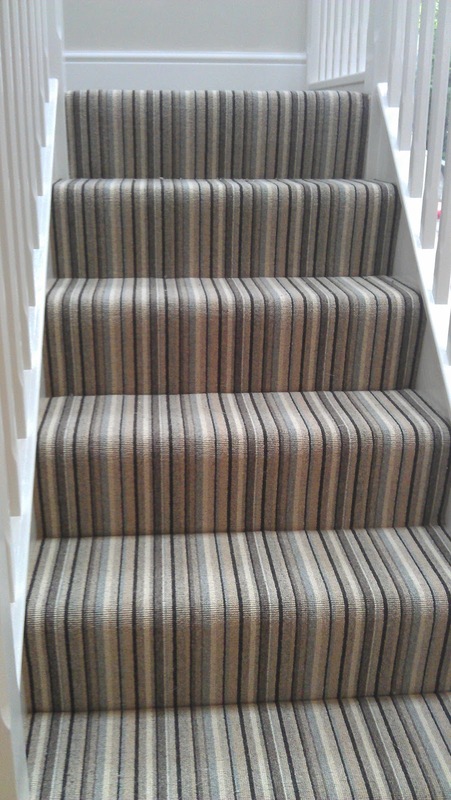 Striped Carpets are still very popular with a choice of colours and budgets for all. 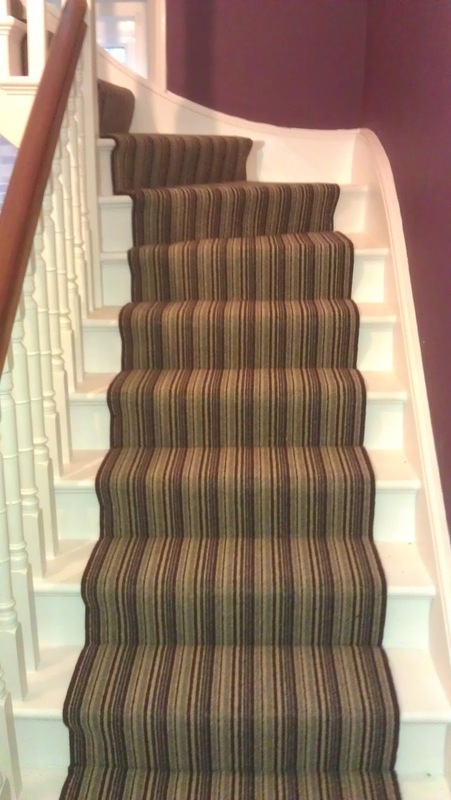 This wool runner with Aubergine and beige stripes complemented the decor in this home perfectly. 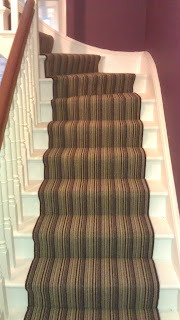 This carpet is Cheltenham Stripe Col; Aubergine. Not everyone wants stripes on there stairs and hallways. 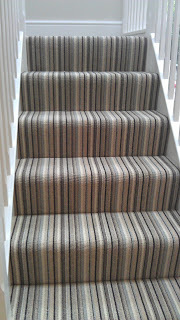 On this installation we have complimented the Stripe carpet with a plain. The stairs are still a focal point without being over powering. 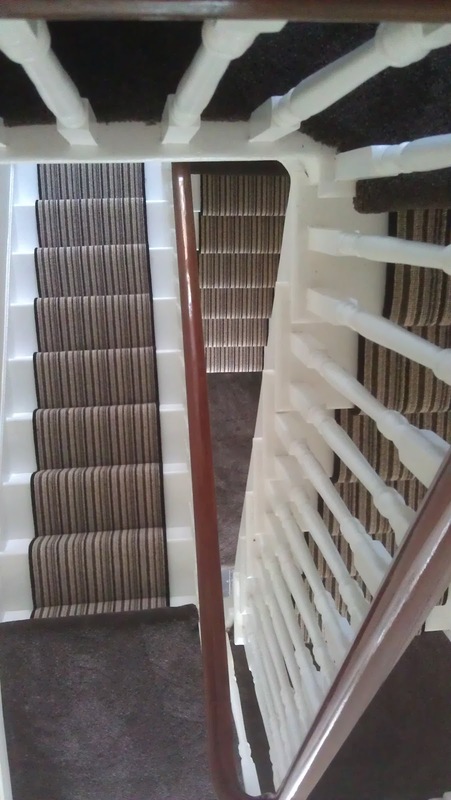 Not all staircases are fitted as runners, many like this one like to have them close fitted and extends to the hallway and landings. With lots of Victorian homes locally this house is being restored and the Red Westex Velvet carpet gives a warm luxury look to this Staircase. 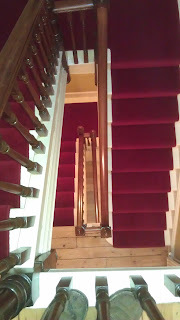 Solid brass stairrods are still to be added . 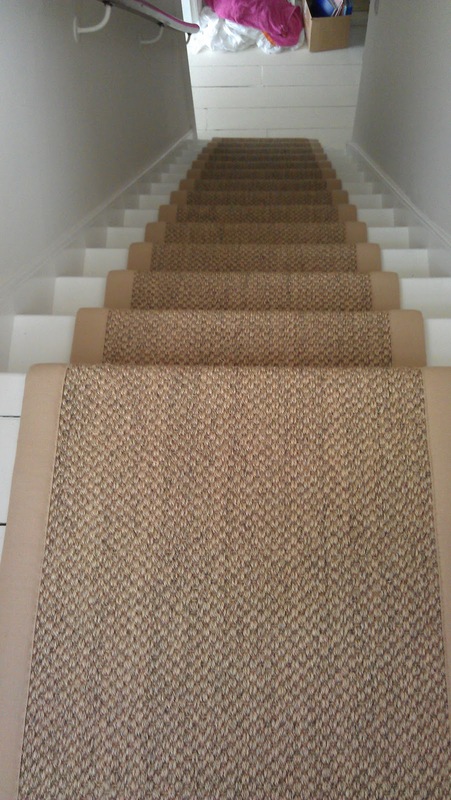 This Sisal runner comes in several colours and is woven only as stair runners 24" wide. 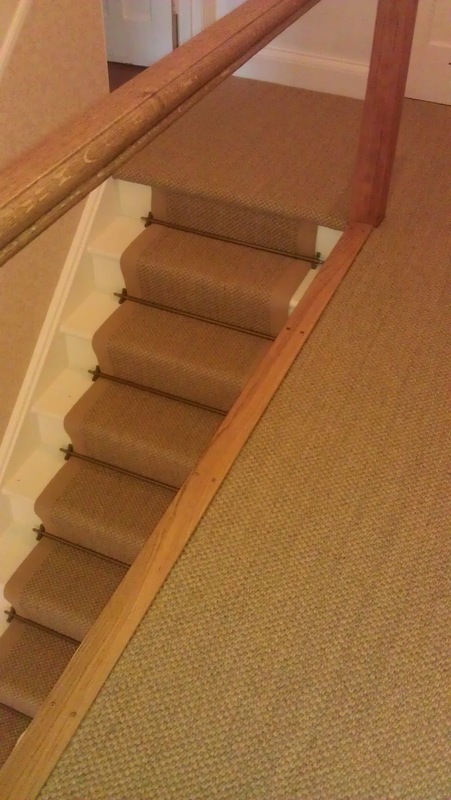 Sisal Stair runner showing continuation onto the top landing. We love to hear your comments but if you have a query about our services please telephone us for the latest information.